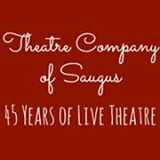 The Theatre Co. of Saugus is proud to announce it’s upcoming 2014-2015 season, which was recently approved by the general membership. The season will focus on comedic and community favorites, aimed at continuing to foster appreciation of and participation in the arts in our Saugus community and the vibrant local theater community of Eastern Massachusetts. Winter 2015: The Underpants, a wonderful comedy, adapted by Steve Martin from the original 1910 play, Die Hose, by Carl Sternheim. Spring 2015: Clue, the Musical, based on the board game and the movie. We will be soliciting applications in the winter and spring of 2014 for production staff of all of these shows: director, music director, choreographer, producer, stage manager.